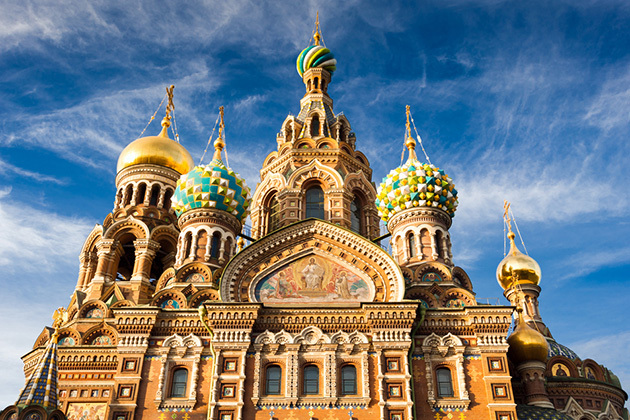 St. Petersburg, Russia, is the marquee attraction for Baltic cruises. Most lines offer two full days (and one night) in the city; some stay for two nights (and offer 2.5 days in the port of call). St. Petersburg is not only a beautiful and intriguing city; it can be one of the trickiest in Europe to visit, not just because of the language barriers but also due to its visa restrictions. 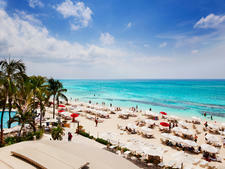 That's another reason why cruising this region of the world can make sense from a logistical standpoint. Besides Russia and Scandinavia, your port stops on a Baltic cruise will expand awareness of this region beyond its well-known fjords and capitals. 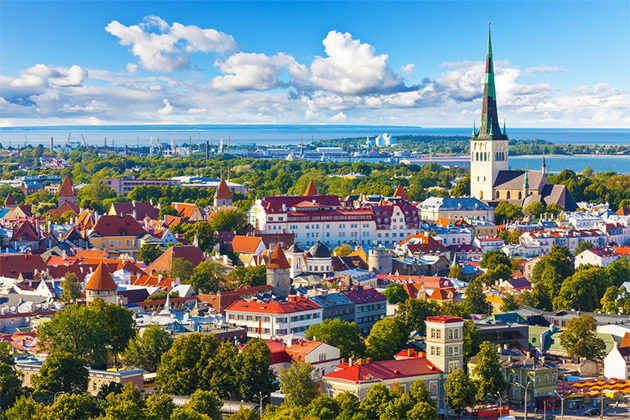 Estonia's Tallinn is a staple of itineraries now, and Latvia's Riga is enjoying increasing popularity. Other ports that are often included on a Baltic cruise are Poland's Gdansk and Germany's Warnemunde, which provides easy access to Berlin. Note: Although some Baltic Sea cruises include Oslo, Norway, as a port of call, cruises to the Norwegian Fjords have become popular enough that we discuss them in a separate story. For information on other Northern Europe destinations, see our Basics pieces on Arctic cruising and river cruises in Russia. The prime Baltic season was once pretty much limited to July and August (save for September transatlantic crossings), but voyages now begin in May and run into September. 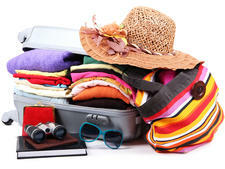 Temperatures may be a bit more brisk at these times, but you'll avoid summer crowds, and cruise fares tend to be lower. June is generally one of the best times to visit Russia, as St. Petersburg celebrates "White Nights," so called for the near-endless daylight. Summer temperatures, by the way, are generally a marked improvement over the sultry clime of the Mediterranean; expect 60s and 70s most days. It used to be that most ships trawling the Baltic were older mid-sized members of cruise fleets (or small, high-end luxury vessels). 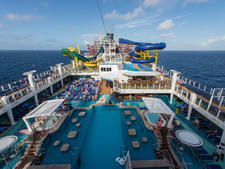 Over the past couple of years, however, cruise lines have seasonally deployed their newer, bigger and more contemporary vessels, attracting a wider demographic of passengers. Almost all of the mainstream cruise lines offer Baltic Sea cruises, including Princess, Holland America, Royal Caribbean, Norwegian, Celebrity, Costa, MSC, Fred. Olsen and P&O. Luxury lines are a staple of the region, with Crystal, Silversea, Cunard, Regent Seven Seas, Seabourn and Azamara all running itineraries. Some of the big pluses, beyond the expected amenities, are expanded enrichment programs about ports of call there, as well as occasional longer-than-usual stays in key cities. For instance, Regent Seven Seas offers its passengers three full days (and two nights) in St. Petersburg instead of the typical two days and one night. In addition, these lines have ramped up shore tours to offer fairly unprecedented access to cultural institutions and events. For most Baltic cruises, Stockholm and Copenhagen are popular ports of embarkation and debarkation. More options exist, however, from England's Dover and Southampton, and some lines also leave from Amsterdam. Expect all Baltic cruises to be port-intensive. 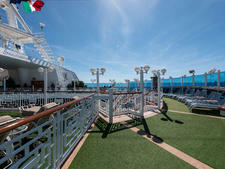 Baltic Cruises: While some lines do have seven-night cruises, 10- to 14-night voyages are more common. A typical Baltic cruise will stop in several of the following ports, depending on the length of the trip: Oslo, Copenhagen, Stockholm, Helsinki, St. Petersburg, Tallinn and Warnemunde. Longer itineraries may add Riga, Gdansk, Hamburg or ports that are part of a Norwegian Fjords cruise, such as Stavanger, Norway. Exotic Sailings: For an intra-Baltic exotic foray, a few lines that operate smaller ferry-style ships, such as Viking Line (not to be confused with Viking Cruises/Viking River Lines), are trekking to the Gulf of Bothnia, a body of water that lies between Sweden and Finland. Ports include Finland's Rauma and Pori and Sweden's Sundsvall and Lulea. Turku, the original Finnish capital and one of Europe's most delightful small cities, may also be included, and a voyage through the Finnish archipelago is another treat. Oslo, Norway. Home to the Nobel Peace Center, Oslo also has several can't-miss museums, including the Munch Museum, home to Edvard Munch's famous (and disturbing) masterpiece, "The Scream." The newly developed waterfront is a lively place with outdoor cafes, trendy shops, street musicians and other performers. Stockholm, Sweden. 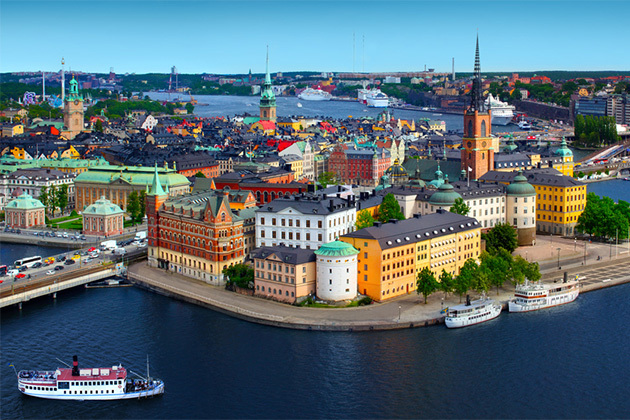 Strikingly pretty, Sweden's capital is built on 14 islands, and sightseeing cruises are popular. There's a Nobel Museum there, too, located within Gamla Stan, Stockholm's Old Town. You'll also find the Royal Palace there, along with small cafes frequented by locals and rare book dealers among the tourist shops. 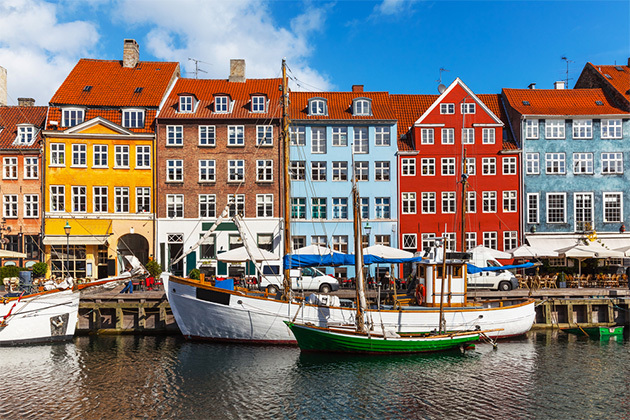 Copenhagen features pretty promenades along canals and ancient winding streets made for walking and biking. During the longer days and warmer weather of summer, outdoor cafe-sitting and outings to the magical Tivoli Gardens are highlights. Don't miss The Little Mermaid, the sculpture dedicated to Hans Christian Andersen, which celebrated its 100th birthday in 2013. St. Petersburg, Russia. Although two days is not long enough to see everything in this city built by Peter the Great, intrepid passengers will usually be able to hit the Hermitage, one of the world's largest art collections; admire the 19th-century architecture on a canal tour; take in a cultural performance; and visit one of the Versailles-style palaces in the surrounding countryside (Peterhof or Pushkin). Helsinki, Finland. 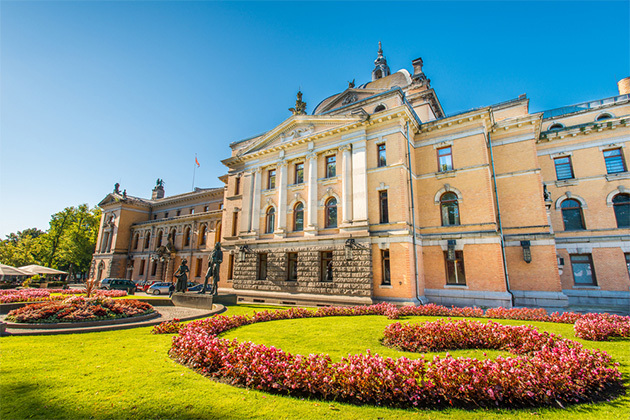 Historic Helsinki, founded in 1550 by Swedish King Gustavus Vasa, offers monuments like the Lutheran Cathedral, the onion-domed Uspenski Cathedral and the neo-classical buildings in and around Senate Square. 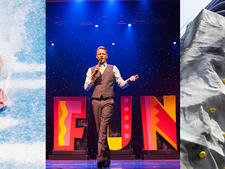 Design-lovers won't want to miss the Design Museum or the avant-garde Museum of Contemporary Art. In summer, Helsinki's waterfront is the liveliest place in Finland, whether you're soaking up the sun at a cafe, riding the ferry to the island housing the Suomenlinna Sea Fortress or taking a boat tour of surrounding waterways. Watch out for currency changes. Currency can be an issue on a Baltic Sea cruise, as you could be dealing with the British pound, the Danish kroner, the Norwegian krone, the Swedish krona and the Russian ruble -- as well as the euro (used by Finland, Germany, Latvia and Estonia). You can offer dollars or euros in any country, but you will get change in the local currency, which is completely useless once you've left port. This is a good time to get a credit card with no international fees if you don't already have one. Pace yourself. A Baltic cruise can be very port intensive. Pace yourself with a mix of days that are tour intensive and others that center more on strolling, shopping and hanging out in cafes. Dress for success. Bring sensible shoes and thick socks for the many cobblestoned streets found in historic old towns. Bring layers for the weather, which can be highly varied even in the summer months.